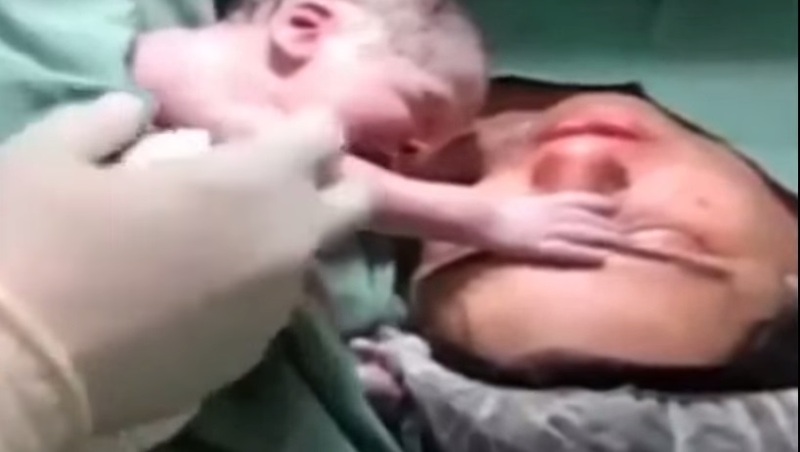 A video going viral on youtube, shows a newborn baby holding onto his mother just after birth. The baby clings to his mother when hospital staff attempt to separate them. The video is a powerful pro-life message of the bond which begins while a child is still in the womb. That is downright beautiful. One of the sweetest things I’ve seen in a long time!